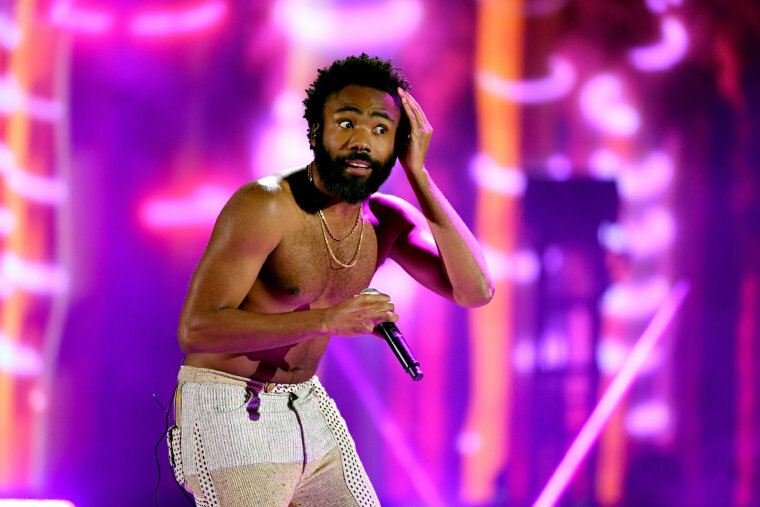 This weekend, Childish Gambino is up for five Grammys. He won't be performing on the telecast (alongside acts such as Ariana Grande, Drake, and Kendrick Lamar), but he is hitting the pre-ceremony party circuit. On Thursday night, he stopped by composer Ludwig Göransson's Grammy Celebration mixer and debuted a newly bleached beard. Photos from the event were quick to surface and Twitter was armed with the hot takes. Peep a handful of them below. In similar news, Google Pixel has unveiled a new feature on the "Playground" app that inserts a digitally augmented Childish Gambino avatar into photos and videos taken on the phone. The character is programmed with the dances moves to “Redbone,” “Summertime Magic,” and “This Is America.” Watch a trailer for the the Playmoji feature below.